If you are coming by car, please take “Iruma IC”. 〇 Make a right at the second traffic light “Kogyodanchi Entrance”. 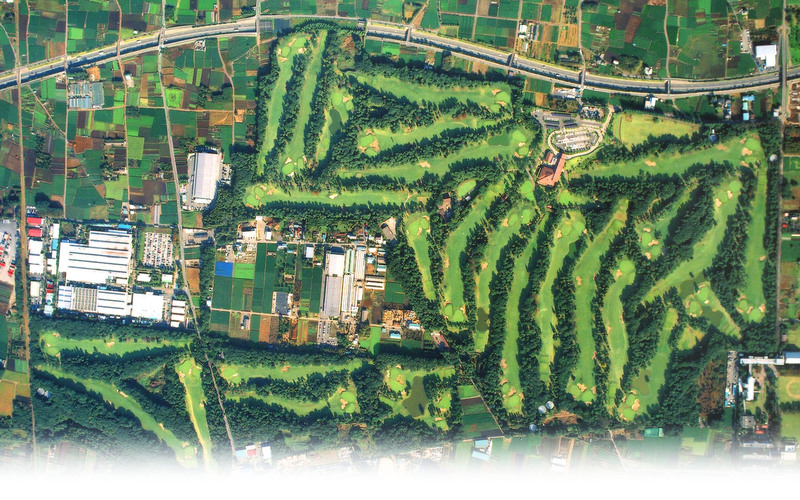 〇 Go toward out golf course by taking the side road of Metropolitan Inter-City Expressway. If you are coming by Seibuikebukuro Line, get off at “Irumashi Station”. 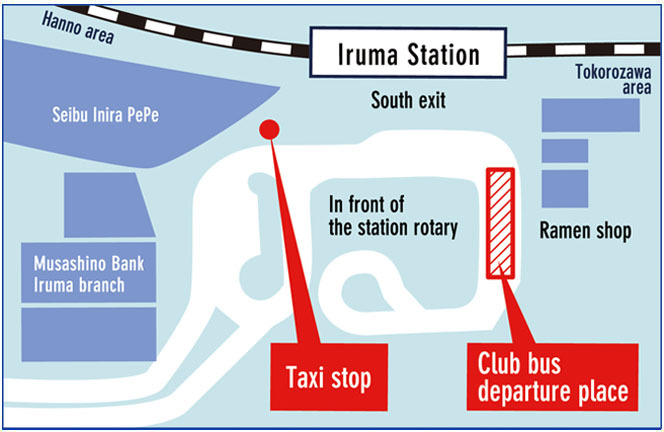 〇 Please use our exclusive club bus operating from Station Square South Exit rotary of Irumashi Station. 〇 After you exit at Irumashi Station South exit, walk along the left side of station square rotary, and you will find parking space nearby restaurant. 〇 Bus will arrive and will depart on time, so please get on the bus in a timely manner. 〇 JR Hachiko Line Get off at Kaneko Station About 5 minutes About 900 yen（Medium size）/※You will need to make a reservation (taxi will not come by station square).